Three years ago (April 2016) I traded my fully loaded 2011 Kia Sorento with 45 thousand plus miles, to enter a lease agreement for the first time. My expectations were to understand the process and to have a great experience. Unfortunately, that was not the case. I felt taken advantage of, pressured to make choices that didn't benefit me and because I didn't know what I didn't know, it worked out for Kia. All that was promised and agreed upon in my initial meeting, seemed to have gone out the window when I returned days later to pick up the car. As a woman, I felt preyed upon by car salesman, financial manager and others who all surrounded me to "close the deal". I left the dealership with a brand new car but felt angry and taken advantage of. I wished that the 3 year agreement was over in 3 hours so I could return the car. I promised that I would never use Plaza Kia ever again. As the lease agreement approached expiration, I made arrangements with Kia in Burlington NJ to return and pick up another lease. I wanted to be as far away from Plaza as possible. I was scheduled to return and pick up on 4/13. I received a call from Courtney Francis at Plaza Kia and everything changed. He took the time to hear me out about my horrible experience in 2016 and promised that he would do his best to make things better if I gave him the opportunity. Something about that conversation resonated with me. He explained the process and answered all my questions. This is what I wanted all along. He gave me options and put the power of decision in my hands. I felt his genuineness. The following day, I scheduled a sit down to discuss the possibility of doing business. Courtney Francis was informative, resourceful and customer friendly. I felt at ease and empowered to make an informed decision because he carefully walked me through every step of the process. I understood and was able to fully engage in the process. Give Courtney a pay raise! He was awesome. The fact that I felt comfortable enough to enter Plaza Kia again was a miracle in itself. Damon Jones also worked to make this experience a better one and thanks to the financial manager Mohammed, who took the time to explain the process and give me options to make a decision. The hours spent at the dealership were long but I left with a new lease and an awesome feeling of peace and satisfaction that I had not felt the first time around. Again, Courtney Francis, you're "Awesome". Kia, you need more sales persons like him. I'm a believer again. "Second Chance, Better Experience, Thoroughly Satisfied." Dianna S.
Cortney really took care of me during the process of selling and purchasing my new vehicle. He even went out of his way and meet me and pick up the spare key that I forgot to bring, these guys definitely put the customers first. Damon & Mario were amazing & a pleasure to deal with ! 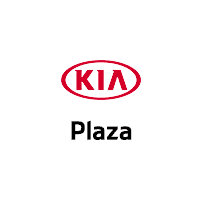 Made the car shopping very easy & they are very helpful I recommend anyone to come & get a car thru plaza Kia! I am thankful for john and damon for helping me get a kia suv.